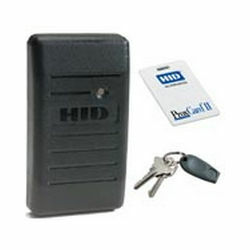 Access control starts from the outside and works its way into and throughout the building if necessary. This means exterior doors and windows are the place to start building an access control system. And from the simple addition of a touch pad lock on a single door to a wireless electric network you will find everything that you need in access control right here. 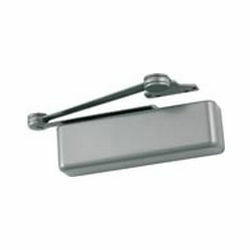 Security Locking carries hundreds of models of stand alone access control keypad locks for exterior doors, including narrow stile aluminum doors. 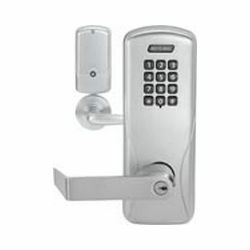 Locks come with a variety of features, including unique codes for different individuals, event programming options and recorded audit trails. Of course, not every exterior door requires a sophisticated access control. Residential or low use commercial entranceways can use a simple push button locks with deadbolts that have to be manually locked. Whatever the need, the materials are here. 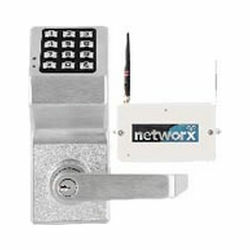 The materials available include sophisticated, wireless electrical access control systems that connect multiple exterior doors with card readers and other access control devices into a seamless network. A well designed set-up might utilize components from various manufactures. Powering these components is a key part of any access control system. Power systems with battery back up, and the batteries themselves, are available. 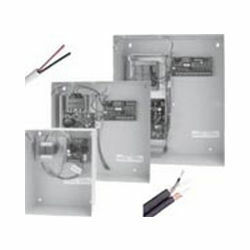 You can also find all the wiring harnesses you need to connect exterior doors, card readers, exit switches or any other component to the power source. Find everything to install, maintain or upgrade security access control on exterior doors from stand alone locks to full electric access control systems.